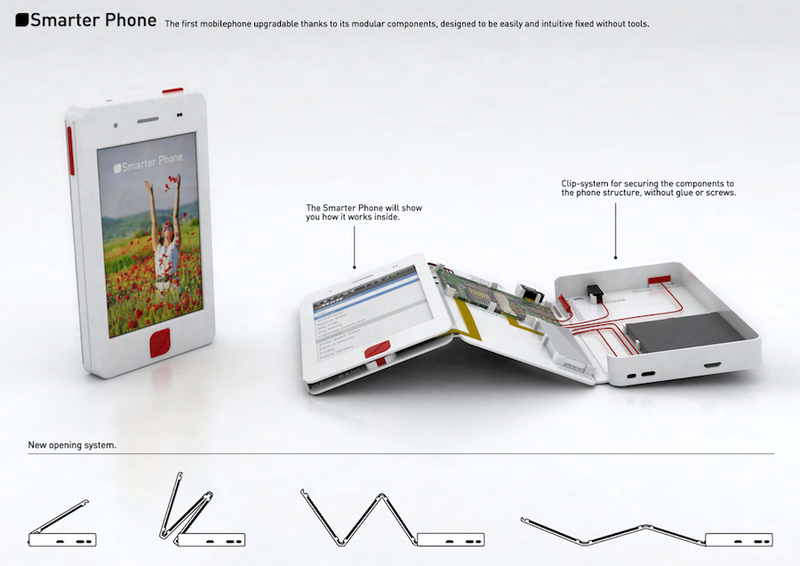 It reminded me of a discussion I had with Laura and Andre around this idea of a modular, upgradeable smartphone. We think two things have to happen before the idea takes off - first additional miniaturization and then more standardization. It's really close to happening though. Components have to get smaller because we still haven't reached that point where the actual guts of a phone are significantly smaller than the 'smallest enclosure that's useful practically'. But when this does happen, people will be able to buy little processor/radio/codec (guts) modules that they can then plug into an enclosure of whatever size they want without having to worry about whether it will fit. One defunct Israeli company (Modu) tried to do this a few years back. But right now, in order to get the 'smallest enclosure that's useful practically', engineers have to work really hard to stuff all the necessary components in. So when the iPhone's Main Logic Board can fit in a size 1/3 of what it is now (~3 years is my guess), then we're talking. The other big thing that needs more size reduction is of course the batteries. In current consumer computing devices, batteries make up about 1/3 of the weight and volume. The system's display makes up a fairly big chunk too - more than 1/5. OLED displays are one likely option for reduction here. So once everything fits roomily, then designers can start making external cosmetic shells which users can load with whatever components they desire. (One caveat - antennae are notoriously sensitive to positioning and surrounding dielectrics - they might have to be designed into each shell). Finally, just as the tower computer industry standardized around things like IDE and ATX, so smaller universal interconnects will need to be settled on for a smaller smart phone system in order to permit modularization.